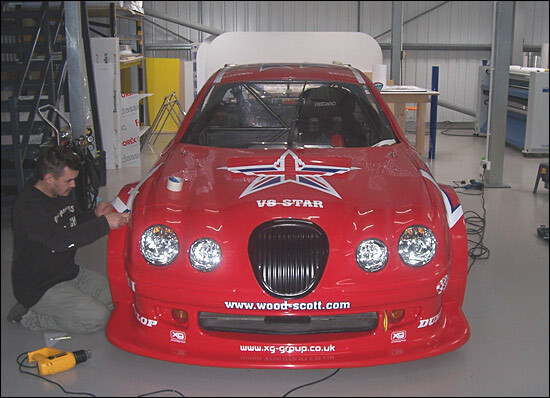 These are the first images of the Wood-Scott Racing Jaguar S type V8-Star, as its final 2006 livery is applied. 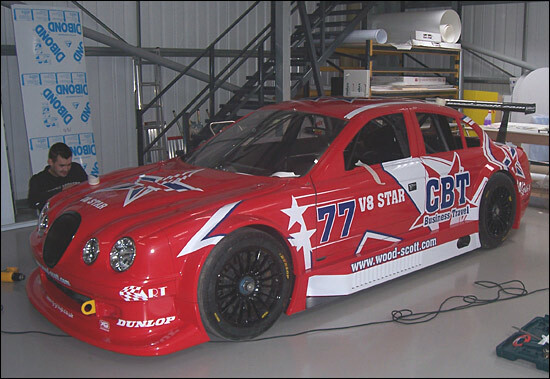 The car has been immaculately prepared mechanically by Eurotech and externally by Steve Wood’s ART concern, with continued backing from Cambridge Business Travel. 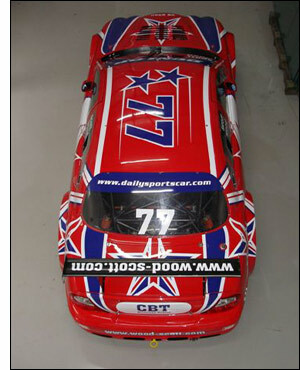 The car will be on display at Autosport International this week, complete with its prominent dsc branding. This is sure to be an eye-catching entry in whichever race series Stuart Scott and Steve Wood choose to enter. Details of the car’s race programme are expected later this week.